A part of me wanted to break an antiquated fashion rule today and wear white the day immediately following Labor Day. 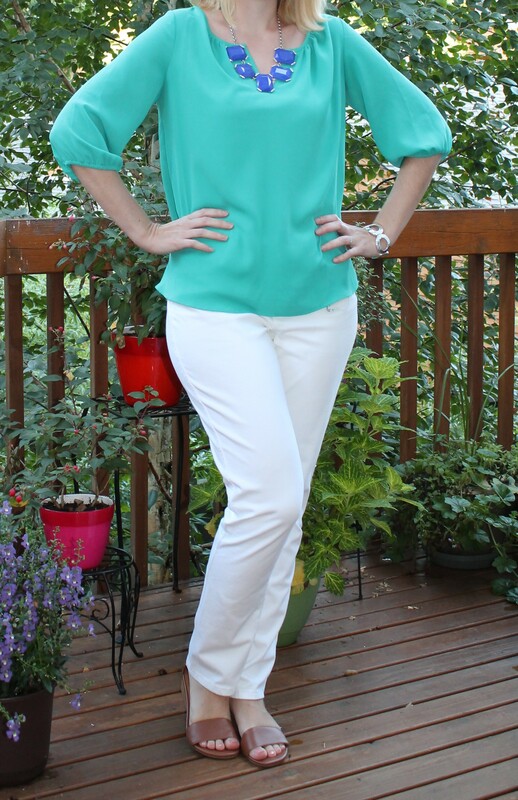 It gave me a chance to wear the new teal blouse from my latest Stitch Fix and pair it with these amazingly comfortable white knit jeans. Following the advice on the card that came with this blouse I pulled out my blue chunky necklace from Banana Republic and an old silver bangle. Perfect outfit for breaking rules, and comfortable for a day back at work after a nice long weekend.